#SparkPostSF Tweet It to Win It Contest: Win $1000 Cash! 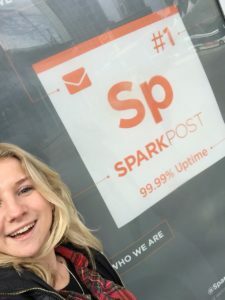 Blog SparkPost #SparkPostSF Tweet It to Win It Contest: Win $1000 Cash! Our favorite four-letter word is L-O-V-E. We <3 developers and we also love San Francisco. This year, you may have heard that San Francisco is celebrating 50 years of the word ‘love’ as an homage to folks in the sixties like Jack Kerouac, The Beatles, and the American Indians, whose free spirit embodied the term as they searched for the deeper meaning of life in their poetry, music, and protest. We’re celebrating too, by spreading the love around San Francisco about SparkPost and giving you a chance to get in on the action and win $1000. Tweet it: Tweet your pic and be sure to tag @SparkPost AND use the hashtag #SparkPostSF. Your tweet and tag automatically enter you into a random drawing for $1000 cash! It’s that easy! And for those asking, you can only enter the contest once, so get creative! While you won’t get additional entries, brownie points for thinking outside the box! Include your dog, your BFF or your entire office! Where can I find the signs to take pictures with? That’s half the fun! We’ll tweet out some locations during the month. But you’ll find most mainly concentrated in the Financial District, SOMA and Fisherman’s Wharf. I am a SparkPost employee – am I eligible? No 🙂 Unfortunately, employees, family members, and spouses are not eligible. However, we appreciate the support and we’d love to see your selfies anyway! I’m not in San Francisco, can I still participate? Sadly, not this time around! However, we are looking into doing promotions like this in your city! Leave us a comment with where you’re located and you might see us around town soon! How many signs are there? There are roughly 30 signs throughout the city. HINT: Follow us on Twitter where we’ll tweet out the various locations. How long is this contest running? The ads will be up in San Francisco from 5/29-6/26/2017 – plenty of time to get your selfie on!